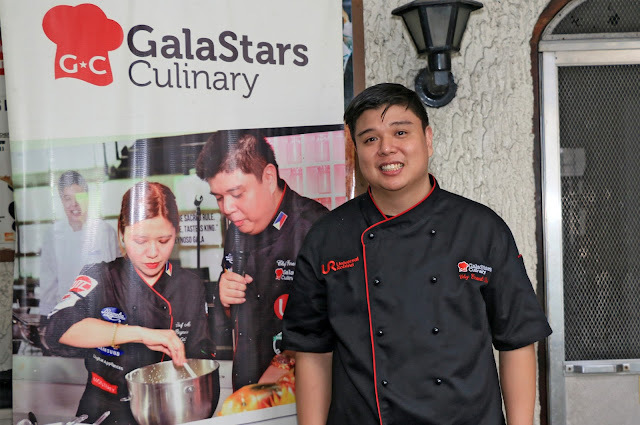 Top culinary chef Ernest Reynoso-Gala believes that aside from awarding prizes and an internship with one of the country’s prestigious hotels, the Flourish Pilipinas: Bake It Happen! Nationwide Baking Competition 2016 offers budding bakers an opportunity to learn more about their craft. “I’m so happy to be part of Flourish Pilipinas because this is a program that really supports the Filipino chef,” added the 36-year old chef from the Reynoso-Gala family of culinary experts. Chef Ernest is also the managing director of GalaStars Culinary School. Flourish Pilipinas: Bake It Happen! is a bake-off among culinary arts students to showcase their bread- and cake-making skills. To join the competition, Culinary Arts or Hotel and Management course students are encouraged to submit original recipes in the Breads or Cakes categories. Baked creations should incorporate a non-functional ingredient and make use of any of the URC Flour brands such as Blend 100 Flour, Continental All-Purpose Flour, Daisy Cake Flour, FibrA+ Whole Wheat Flour, Globe First-Class Flour, My Rose Soft Flour, and Sampaguita Soft Flour. Shortlisted teams will vie in the Flourish Pilipinas: Bake It Happen! Visayas/Mindanao and GMA/Luzon regional competitions. These will be held at the University of Mindanao in Davao City and Center for Culinary Arts in Manila, respectively. All finalists will be given a challenge and a surprise ingredient to use during the bake-off. Trophies, certificates, and more than Php300,000 worth of prizes await the winners while regional grand champions will also be featured in Yummy Magazine and receive internships at one of the most prestigious restaurants in the country. With the prizes and invaluable opportunities that it offers, Chef Ernest hopes to see more budding bakers joining the Flourish Pilipinas: Bake It Happen! Competition. Complete contest details and mechanics, as well as downloadable entry forms can be found at the Flourish Pilipinas 3 Facebook page. Deadline for submission of entries is on September 30, 2016.